As the old adage goes, “Running a business without advertising is like winking at a good-looking girl (or guy) in the dark. You know what you’re doing, but nobody else does”. Now, for “advertising”, you can substitute “promoting”, thereby allowing yourself to concentrate on social media, for example, or getting out and meeting people. You may not have a budget for pure advertising, in the sense of spending money on media. However, if you’re short of cash, mister *, you might still be able to time-manage yourself to a sufficient degree to allow yourself dedicate some time to social media work, on Facebook, Twitter or other. Or get along to some networking opportunities. Or try to generate some favourable and free press coverage through PR work. Essentially, you’ve got to be telling people (your target markets) about what you’re doing and what’s good about your product or service. Another adage states that “If you’re not telling, you’re not selling”. There’s no arguing with that. As the summer winds up over the next few weeks, many of us self-employed small business owners who have perhaps been on autopilot for the previous two months will begin to turn our thoughts back to the job at hand. I regularly say that micro-business owners often have two beginnings to their year. The first, of course, is in January. But there’s a second one in September, once the holidays are over and the kids have gone back to school. Let me suggest that you develop some rigorous system to urge yourself to communicate with your audiences into the future. Develop a social media marketing plan and schedule that makes use of the platform(s) your audience is active on. Build relationships with journalists, bloggers and other influencers who can give you some coverage gratos. 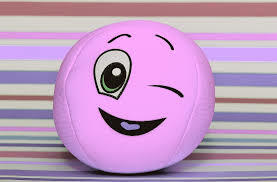 Ask for testimonials from satisfied customers and put them up on your website. Even better, shoot some video testimonials. 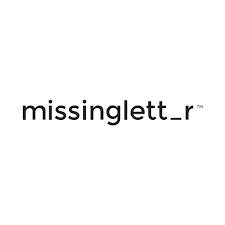 Employ some free content marketing amplifiers, like Missinglettr. I like it very much. * Stolen from an old U2 track, “Bullet the Blue Sky”. I was listening to the radio the other day, Joe probably, when my mind drifted to some of the great Irish advertising slogans that have adorned the airwaves over the years. It must have been something he said. Wondering why these slogans were (are) particularly excellent, I realised that one characteristic they all share is a small number of words. One of them is so short, it contains just two! But, of course, that in itself is not enough. The slogan also needs to speak in some way about the brand and its market – the “feelings” of its consumers, if you will. While recalled somewhat less frequently than its more famous cousin, “Guinness is good for you”, the amazing thing about this classic from the 1930s is that people still say it on the street, every single day, without even noticing. The grand old character from Brennan’s Bakery who’s been uttering these immortal words for decades is a legend in himself. 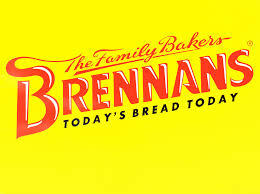 The bakery’s advert sketches, played out between “Old Mr. Brennan” and one of his side-kicks are fantastic and the tagline is simple, but brilliant. Two words, one repeated. 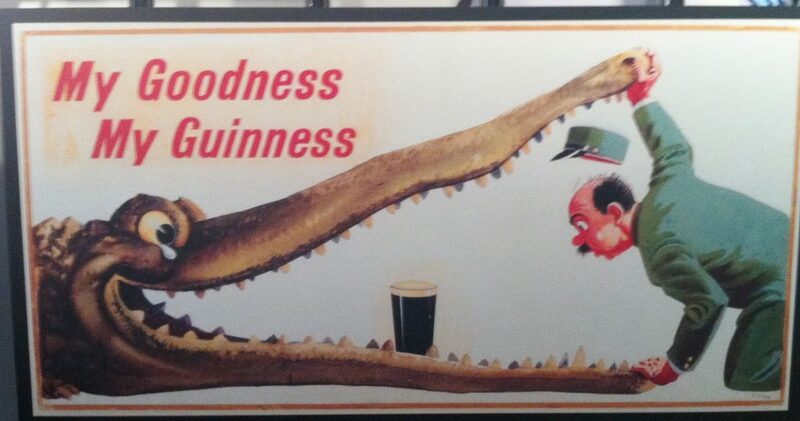 One of the truly great Irish advertising slogans. 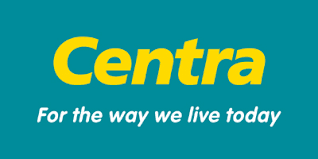 Centra’s memorable tagline makes great use of a nice little musical ditty, so that we not only recall it fondly, but sing it. It’s a long time since our skies were filled with more or less just Aer Lingus, British Airways or Aeroflot. This ancient slogan still makes those of us of a certain age mutter it to ourselves whenever we see or fly the “national carrier”. 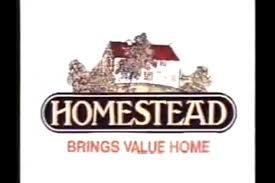 Used, among others, in the ad that won the award for Irish Radio Ad of the 20th Century, this was all about warmth, comfort, homeliness and reasonable prices in the recession-hit Ireland of the 1980s. There are other greats, of course. But another of the characteristics of these taglines is that they make us smile. Like this superb old Guinness TV classic, “Tá siad ag teacht”. Brilliant. 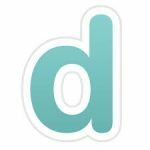 These 3 free tools to amplify your blogpost are easy to use and help disseminate your writing beyond the confines of your website. I really like this new platform that I stumbled across a month ago or so. Yes, the behemoth of them all. When you’ve published your blogpost and it’s been automatically posted to Facebook through dlvr.it (see above), then you’ll want to repeat it out in maybe two or three months. Copy and paste the blogpost’s url into your Facebook page, watch the preview being automatically generated, edit as required and hit the “schedule” button to give it a new lease of life later on. 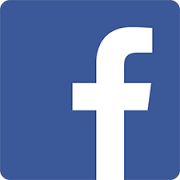 If you have your Facebook page and Twitter account linked through www.facebook.com/twitter, then it will also appear there. Remember to treat your blogposts like a product, rather than a promotional tool. The blogpost itself needs to be promoted, so use these three methods, along with others, including the ‘share’ buttons like I have below. Posted bybarry 01/04/2016 15/06/2018 Posted inUncategorizedTags: applegreen, four ps1 Comment on How has Applegreen done it? OK, so you’re ready to have somebody else selling on your behalf “while you sleep”? Of course, there are various solutions to this, but two of the more common are the ’employment’ of commission (aka sales, aka trade) agents or distributors. 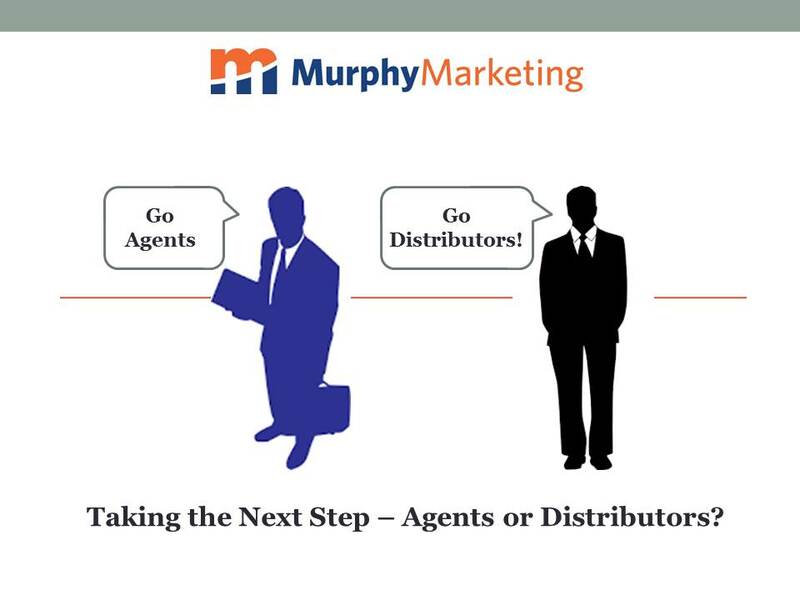 But what are the differences between agents and distributors? Essentially, the difference is one of product ownership. While a commission/sales/trade agent sells product on your behalf that you continue to own and invoice the ultimate customer for, distributors take ownership of the product and sell on to their own customers. This can mean that while, on the one hand, your business builds a relationship with the customer, on the other you may not even know where your product ends up. In the case of distributors, a supplier / manufacturer sells his product to the distributor, who in turn sells the product on to his customers, adding a margin to cover his own costs. Distributorships are used as a low risk means of expanding business into new markets or territories. The distributor assumes liability, i.e. legal responsibility for one’s acts or omissions. Failure of the distributor’s business entity to meet that responsibility leaves him open to a lawsuit for any resulting damages or loss, which may occur to the other party. As the distributor has taken ownership of the products, he is incurring a greater degree of risk than an agent in the course of his business. The distributor has no authority to create a contract between the supplier and customer. The customer’s contract is, in this case, with the distributor. On the other hand, an agent is a self-employed intermediary who has continuing authority to negotiate the sale of goods on behalf of another entity – the supplier / manufacturer (aka the principal). The agent may negotiate and conclude the sale of goods on behalf of and in the name of that principal. As he does not take ownership of the goods, the agent does not take on responsibility. This remains with the supplier. Here are some main differences between agents and distributors. A supplier is able to pass on risk associated with the products. The distributor is motivated to sell the stock he has purchased from the supplier. A supplier will not incur any liability (with exceptions e.g. defective products). The appointment of a distributor will avoid the need for a supplier requiring an established place of business in the territory, reducing administrative costs. The supplier has avoided the cost of employing a salesperson in the territory. A supplier will only need to monitor accounts with a distributor. No compensation is automatically payable to a distributor upon termination of the distributorship agreement. The supplier has limited control over activities of a distributor. Under an exclusive distributorship arrangement, the supplier’s entire credit risk in respect of sales in that territory is concentrated on the distributor. A distributorship arrangement is likely to be governed by domestic and European competition legislation. The supplier lacks information on the ultimate customer – he who buys from his distributor. Given the large degree of autonomy granted to a distributor, it is critical that the selected distributor is financially and commercially sound. The supplier has more control over the activities of an agent. The financial and commercial background of the commission agent will not be as critically important to the principal. The principal will want to ensure the integrity of the sales agent, since the principal will in the normal course be bound by the actions of the sales agent. This can be more easily done, when dealing with one person, rather than a company, as with a distributor. The supplier keeps in direct contact with the customers. The principal is not able to pass on risk associated with the products to the agent. The principal will incur liability as a result of the agent’s activities. In most instances, the principal will be obliged to take on the expense of training the agent. The principal will still be obliged to monitor the accounts of all customers. An agent would normally carry several products from several manufacturers. If the supplier’s product is not selling well, the agent will typically divert more attention and energy to other products in his suite. Under EU Commercial Agents Regulations, minimum notice provisions apply in the event of termination of the agency and the agent may also be entitled to compensation, over and above this notice requirement. While there is no right or wrong choice here (it depends on your industry and what choices you make for growth strategy), do take these differences between agents and distributors into consideration when plotting our next steps. Also, consider other factors in distribution agreements outlined in this blogpost. Camtasia from TechSmith is one of many screen recording and video editing tools out there. Video is all the rage these days, so you might like to take a look at this tool as a potential partner for your future strategy. And what’s more, they give you a 28 day free trial period – plenty of time to get to learn the features of video marketing with Camtasia before purchasing. Here’s one I made last week. Hope you like it! Getting used to Camtasia can be tricky and, like other online tools, you’ll make plenty of frustrating mistakes at first. But there’s great power in this tool, allowing you to cur and edit video snippets, add background music and a voiceover and, generally, make a decent video for your marketing purposes. Go ahead – give it a try! Once you get there, a sales negotiation can be tough. You may have sent out sales letters or emails, made a phone call or two, presented your product or service to prospects and arrived here – negotiation time. Negotiating in sales can be a daunting prospect, but if you can retain these 6 points you will be better armed to succeed. A sales negotiation is most definitely not a time for you to just talk about your product or service. It’s important to ask questions, involve your buyer and listen to their needs. Would you just talk ll the time during a regular conversation? No. So it’s the same here. Keep thinking while listening – how can you steer this negotiation into a win-win situation? It can be tempting to agree to a request (demand?) that your buyer places on you, once he/she has made it. But it’s important to have all issues laid out on the table before agreeing to anything. Examples might include payment terms, minimum order size, delivery delays, pricing (FOB, Ex Works, delivery included, etc. ), after-sales service, staff training and so on. 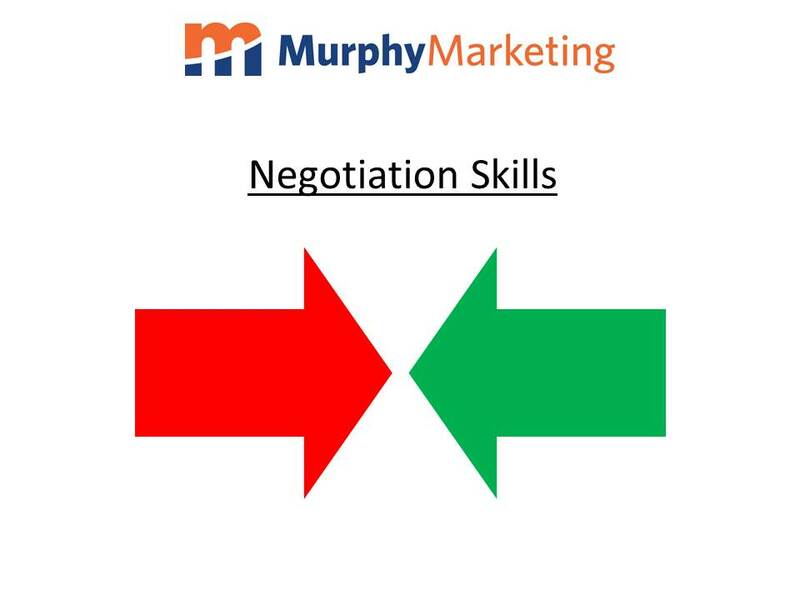 A sales negotiation can conclude to both sides’ satisfaction. Indeed, this is the preferred outcome. Get out of your “them v us” mentality. Sales and marketing is all about satisfying the customer’s needs (at a profit). This fundamental proposition implies that your buyer has a need. So, do they have all the power? Evidently not. Often, a seller will fear the price issue, dreading that a competitor might have a better price. But, of course, price is just one element of a negotiation towards a sale. Find out what all the issues are. Your negotiation does not have to conclude today. If there are elements of a potential deal you’re not comfortable with, postpone. Go away, carry out your checks and come back another day. Remain courteous and return to negotiate at a later date. Of course, it can take time to develop the skills to expertly carry out a sales negotiation that results in an outcome that makes both parties happy. With practice comes improvement. Review the whole of the Sales Process to put negotiation in its context. Knowing how to present your product or service is a critical step in The Sales Process. It can be a scary prospect, but follow these tips to put your best foot forward. Nowadays, B2B buyers and influencers are busy people and if you have managed to have them dedicate some of their time to listening to you present your new product or service, it’s most likely because they are interested. So banish those fear demons and get ready to be enthusiastic and to impress. The most important tip when it comes to presenting is to ensure you do not spend the whole time simply talking. Be sure to ask questions and listen for buyer engagement and buying clues. People buy from people they like and one sure way of being better liked is to listen and make your presentation a participative experience for those in front of you. Your buyer’s needs are more important than your product offering. Be seen to grasp that and you are on the right track. 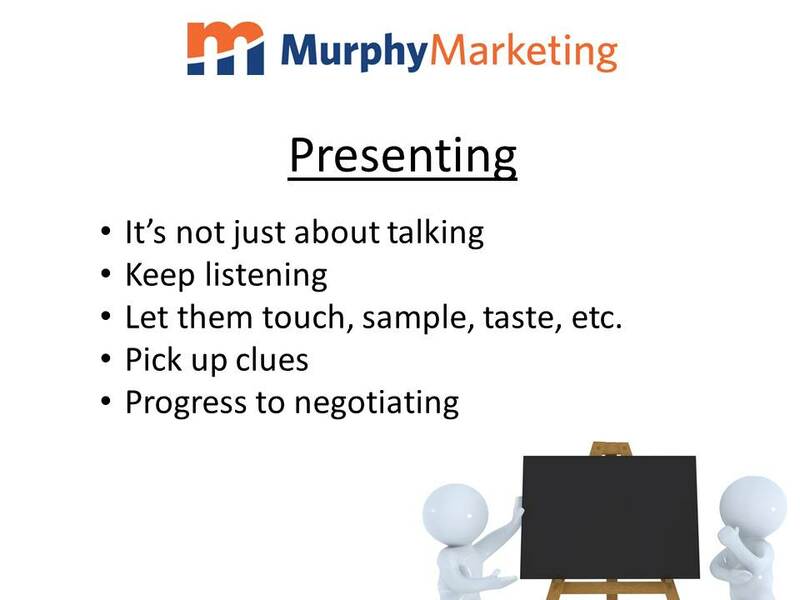 While demonstrating your product or giving a sample of your food product, stop talking. While they are trying out, tasting, working or touching your product, the buyer will not hear anything you say. Plus, you will not pick up on their signals. Knowing how to present your product or service is so much more than the words that spill out of your mouth, no matter how well you have prepared on that front. Observe their reactions! Salespeople often suffer from a number of doubts – one of the classics being that “the buyer has all the power”. In truth, this is not always the case. Your buyer needs some product or solution to his or her issue. Equally, we often hear a vendor say that “price is the only factor and my competitors are better priced”. Again, this is not necessarily the case and your product or solution should have a USP that trumps price anyway. During the presentation, be sure to ask questions and seek to gain powerful information from your buyer or influencer. Communicate the advantages of your product or service in a way that is most meaningful to your buyer, that is, in terms of benefit to them. You are presenting because you want to be appreciated as the preferred option. After your presentation, why would they consider any alternative? I like to advise clients to practice presenting their product or service on a prospect that has limited or no capacity to become an important customer. Make your mistakes here, before moving on to the guys you’d really like to be partnering up with. Self-observation can be a difficult to master skill, but it becomes essential when presenting a product or service. On reflection, did you ask enough questions? Did you talk too much? Did you let the buyer feel, touch, taste or sample the product in peace? Then, did you get feedback and thoughts from him/her? Ultimately, did you impress during your presentation, enough to move on to the next step – negotiation? Remember – it’s not simply a question of how to present you product. It’s one step on the over-arching Sales Process. Like its first cousin, ‘The Marketing Process‘ in its field, ‘The Sales Process’ is a way of locating yourself on your path to sales success. The Sales Process consists of six steps, helping you to keep focused on how you find and then progress prospects and existing customers through the sales funnel. It’s important to recognise at which step of the Sales Process different clients and prospects are. Knowing how long it typically takes to progress a client from unknown prospect to a buyer, with whom you need to do some post-purchase follow-up, is vital to your sales activity. Depending on the complexity of your sector, these steps may overlap to varying degrees, or indeed several may take place at the same time. Step One is Prospecting. Here, we do the groundwork to identify potential future customers, based on our targeting, product offer, positioning, competitive strength, etc. Step Two is Information Gathering. Here, we carry out research in order to learn as much as we can about this business with which we haven’t yet worked. 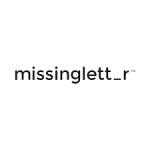 This might include finding out what we can about their current supplier or alternative products/services they are using today, who the decision makers and influencers are, etc. Make first contact and ask about their needs, etc. Request a meeting. Step Three is Presenting. Demonstrate, present, sample or taste your product or service (depending on your business). Get in front of the prospect and show them what you’ve got. Keep asking questions. One of the most common mistakes a salesperson makes through steps 2 and 3 is to talk too much. After all, we often feel more comfortable talking than listening. But listening is the key! By asking questions, we learn things. Furthermore, don’t speak while presenting your product. If your buyer is touching, tasting, or using your product, they won’t hear you! Step Four is Negotiating a sale. Remember not to agree to anything, until you’re agreeing to everything. Avoid agreeing to (for example) a price, without understanding fully the terms of sale. Discuss all aspects, e.g. price, who is meeting the delivery costs, minimum order quantities, credit terms, training costs where applicable, etc., before making an agreement. In negotiating, price is not the only factor. The buyer does not have all the power. Step Five of the sales process is Closing. After all, that’s the point, no? Watch out for buying signals. They will come and you need to be alert to take advantage. Consider different ways of closing the sale, including a once-off special offer, time limited offers, quantity-related offers, sensible comparisons with what others have done, the good-old “would you like the red one or the blue?” argument, demonstration of concrete benefits accruing, etc. And be alert to The Value of No. Finally, Step Six is Following up, ongoing relationship building and delivery of quality customer care. We all know the adage that people buy from people they like. Providing quality customer care is an essential pillar of this. When the sale is made, pick up the phone and ask how your customer is getting on. They’ll appreciate it. 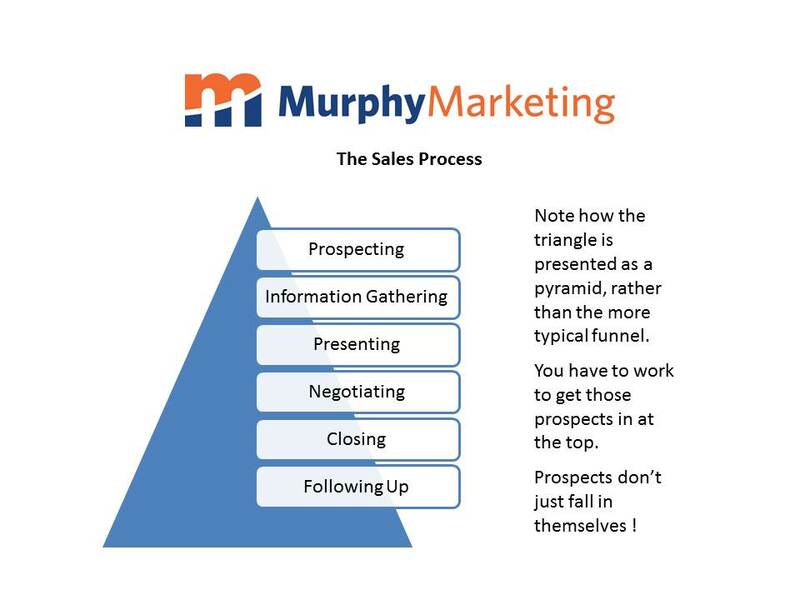 Do you know at what stage your various prospects are right now in your sales funnel? 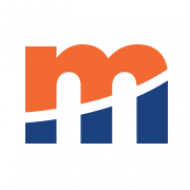 Do you understand how long it might take for you to close a sale? Are you ensuring that you follow up, rather than make a sale and move on? Apply The Sales Process to your thoughts and actions and watch your customer relationships improve and deepen.